41 members of the Ballinasloe Active Retirement had a wonderful holiday in the Algarve from the 9th to the 19th September 2007. We stayed in the luxurious Villamoura Hotel which was located practically on the beachfront. The weather, the food, the entertainment and the "craic" were second to none. There was something different for everyone. Some went on day trips to the nearest towns, while the "markets" for the bargain hunters were ever popular. 5 members did the praying for the rest of us in Fatima where they stayed overnight. It was a wonderful opportunity to visit this famous shrine and were full of the joys of life on their return. It was difficult to leave the lovely sunshine and return to the rain and cold at Dublin Airport. However,we are now bronzed and rested, and ready to face the winter again. We are looking forward to our next break which will be next May - our Cruise on the Med. For people like me who grew up in the 30's which was the era of the parriffin oil lamp to have to leap forward to the twentyfirst century where the the world wide web and the internet have taken over is like moving into a different planet. Thanks to our computer & Internet Awareness course, quite a few members now have their own websites and online photo galleries. 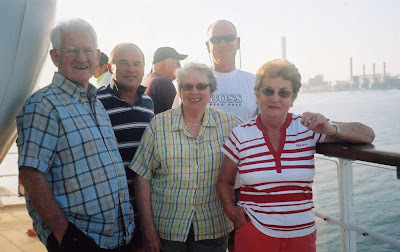 In 2006, the Association organised a week-long cruise on a luxury liner along the coasts of Greece and Italy. The weather was glorious, the food sublime and the sights breathtaking! Interestingly enough, we sourced and booked this holiday through the Internet! 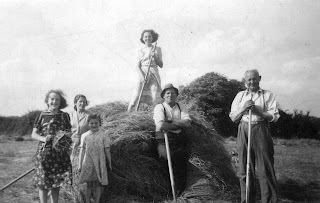 The Association is now embarking on a major project in collaboration with Brendan Smith from the DERI Instiute at Galway University to create an Online archive of video and audio recordings of local people as they reminisce on their childhood memories of Ballinasloe in former times. Thanks to this project, our members will become members of the 'iPod Generation' as they will soon be walking around the town listening to these recordings on their personal iPod or MP3 Players! 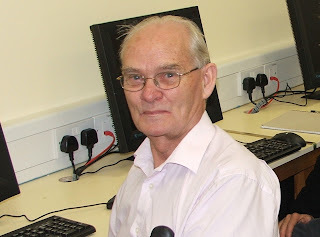 Our Association recently completed a computer and internet awareness course with Brendan Smith of the Digital Enterprise Research Institute (DERI) of Galway University. The venue was the brilliant IT facility in the Community Centre in what was the old Emerald Ballroon. Brendan gave us a hands-on approach to the new technology and showed us how it do so much to empower older people. Many of the new services available on the World Wide Web are easy to use, are highly beneficial and are free! Participants not only learnt about the advantages of using email (electronic mail) but can now tour the world from the comfort of their desk via 'Google Earth', set up their own colurful websites and online photo galleries. Furthermore, members such as Evelyn Flanagan now communicate on a regular basis with their family members living abroad. "Silver Surfers!